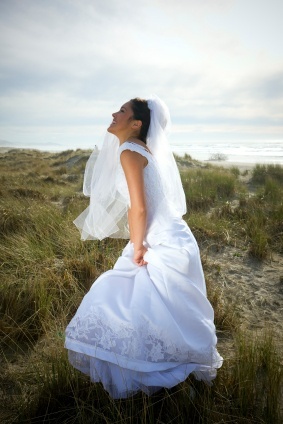 Prevent Post Wedding Stress - Preserve the Dress! Prevent Post Wedding Stress – Preserve the Dress! Weddings take a lot of careful planning and selection to ensure your special day fulfills your dream. An important tip to remember is the planning goes beyond the actual ceremony and reception. It requires consideration of post-event items. For example, what are you going to do with your dress? Does someone take it and hold it for you until you have time to deal with it? Hanging in a closet somewhere still stained and wrinkled from the day’s festivities? Take the worry out of post-wedding to-dos and hand over your dress to a savvy dry cleaning service. One that can take care of your dress and ensure it is thoroughly cleaned and heirloomed for storage. After all, it’s one of the many memories you want to preserve from your wedding day! At Bibbentuckers, we have the right team, technology, and techniques to take excellent care of your wedding dress. First, we offer pickup and delivery so you do not have to worry who is taking care of your dress. Second, our specialty wedding gown cleaning service is well known and even used by many top wedding retailers in the area. Step One – Inspection – our specially trained staff thoroughly inspects every wedding gown so we know exactly how to clean the garment Using our special gloves for handling your dress, our team inspects it to identify stains and mark any repair areas, such as hemlines. Step Two – Cleaning – using our top-notch techniques and high-end cleaning equipment, we ensure that your wedding dress is thoroughly cleaned in a safe and gentle manner. Then we press it to follow the designer’s original line and drape. Step Three – Heirlooming – preserving your wedding dress is the last step. 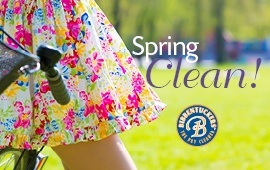 Our team uses special white gloves to ensure no dirt or oil is transferred to your clean dress. Using acid-free, museum quality packaging, we carefully place your dress in our high-quality tissue and box. From there, we put the entire package in a bag that is designed specifically for heirlooming and preservation. When your wedding dress is returned, you can rest assured that it is appropriately cleaned and ready for long-term storage. Should you decide to look at it later, say to give to your daughter, you know that the wedding dress that helped you generate many memories will be ready for use again. Bibbentuckers specializes in wedding dress cleaning and heirlooming, and we are certain you will be happy with the results. For more information on our wedding dress cleaning, or any of our other premier services, please visit our website.